Premis is a touchscreen deadbolt that works with Apple HomeKit to provide homeowners an easy, secure way to control their home security from an iPhone®, iPad® or iPod Touch®. Use Siri to lock or unlock Premis, with an option to also control the smart lock using the Kwikset Premis app and Apple Home app. Remotely lock, unlock or check the status of Premis from anywhere in the world on an iPhone, iPad, iPod Touch when the smart lock is connected to an Apple TV® (3rd generation or later is required). Pair Premis with other HomeKit compatible accessories to create integrated scenes, such as turning on lights or heating the home by merely unlocking the front door. HomeKit technology provides advanced security with end-to-end encryption and authentication between a HomeKit-enabled accessory and the synced iPhone, iPad, or iPod touch. Premis installs in minutes and is easily programmed with up to 30 user codes that can be shared with guests. Premis is also equipped with Kwiksets patented SecureScreen technology to prevent smudge attacks on the touchscreen. Premis also features SmartKey Security to protect against advanced break-in methods and allow homeowners to re-key the lock in seconds. Premis is a touchscreen deadbolt that works with Apple HomeKit to provide homeowners an easy, secure way to control their home security from an iPhone®, iPad® or iPod Touch®. Use Siri to lock or unlock Premis, with an option to also control the smart lock using the Kwikset Premis app and Apple Home app. Premis installs in minutes and is easily programmed with up to 30 user codes that can be shared with guests. 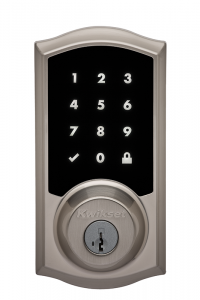 Homeowners can track lock status, receive lock notifications and more through the Kwikset Premis app. Premis is also equipped with Kwiksets patented SecureScreen technology to prevent smudge attacks on the touchscreen. Premis features Kwikset’s patented SmartKey Security with a rekey feature that allows builders to re-key the deadbolt after work is completed at the home, ensuring the future homeowner’s safety by eliminating a security risk due to unreturned keys. 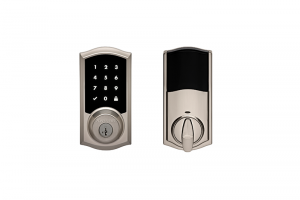 Premis is a touchscreen deadbolt that works with Apple HomeKit to provide homeowners an easy, secure way to control their home security from an iPhone®, iPad® or iPod Touch®. Use Siri to lock or unlock Premis, with an option to also control the smart lock using the Kwikset Premis app and Apple Home app. Remotely lock, unlock or check the status of Premis from anywhere in the world on an iPhone, iPad, iPod Touch when the smart lock is connected to an Apple TV® (3rd generation or later is required). Homeowners can create integrated scene with other HomeKit compatible devices for a more personal experience. Premis installs in minutes and is easily programmed with up to 30 user codes that can be shared with guests. 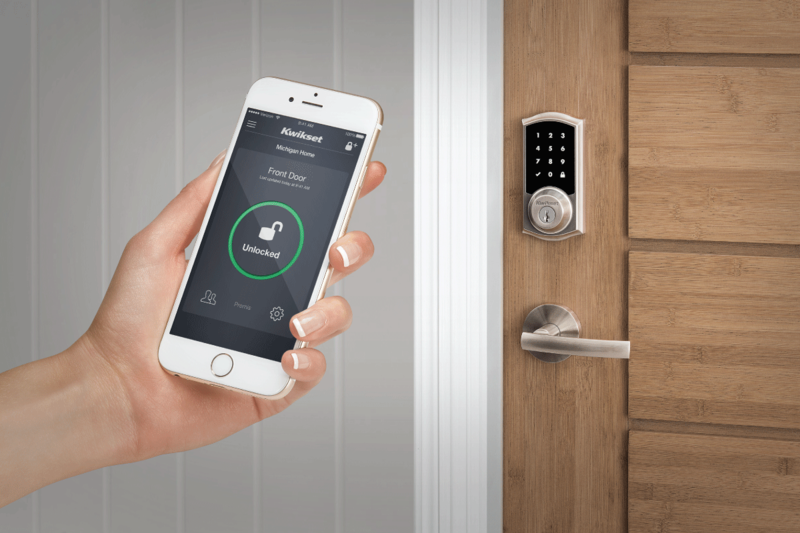 Homeowners can track lock status, receive lock notifications and more through the Kwikset Premis app. Premis is equipped with patented SecureScreen technology and features SmartKey Security to prevent against break-in methods.